With Fitbit scheduled to end official support for Pebble smartwatches at the end of June, an independent team of developers has put together a service called Rebble, with the aim of keeping user accounts, apps and devices active into the future. 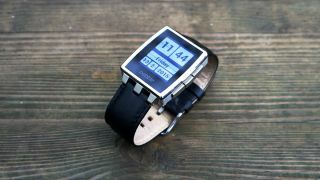 The platform isn't completely new, but with the deadline looming, users are being encouraged to get set up with Rebble before June 30 – even Pebble founder Eric Migicovsky has endorsed the new setup. Parts of Rebble will be free to use, with premium services like Weather and Dictation keeping the operation running. "Our present focus is on replacing key pieces of the Pebble ecosystem: the app store, firmware, and mobile apps," explains the Rebble FAQ page. "At a higher level, our goal is to maintain and advance Pebble functionality." The developers behind Rebble say they're not going to have everything up and running by the start of next month, but that swapping to Rebble's services from the official Pebble platform will only require clicking on a link when the time comes. Once July arrives, the Pebble serves will go dark – the watches will keep working, but you won't be able to access voice recognition, SMS and email replies, the app store or the Pebble forum. Tools used by developers to build new apps will be going away too. Rebble's aim is to give a new lease of life to all of these features. As you may remember, Fitbit bought Pebble back at the end of 2016, so the wind down has been a slow one for the once buoyant wearables company. Pebble's DNA still lives on though – you can definitely see evidence of it in the Fitbit Versa.